Mozilla and The Brigade have worked together since 2015. We have worked with nearly every arm of their orga­ni­za­tion including: Firefox, Developer Marketing, Global Brand, Emerging Tech­nolo­gies, and Expe­ri­en­tial teams. The Brigade has been a strategic and production partner con­tribut­ing to the brand, experience and design of various touch points in their evolving ecosystem. Their focus on valuing the agency of people on the internet is important to us, and we love helping them fight the good fight. 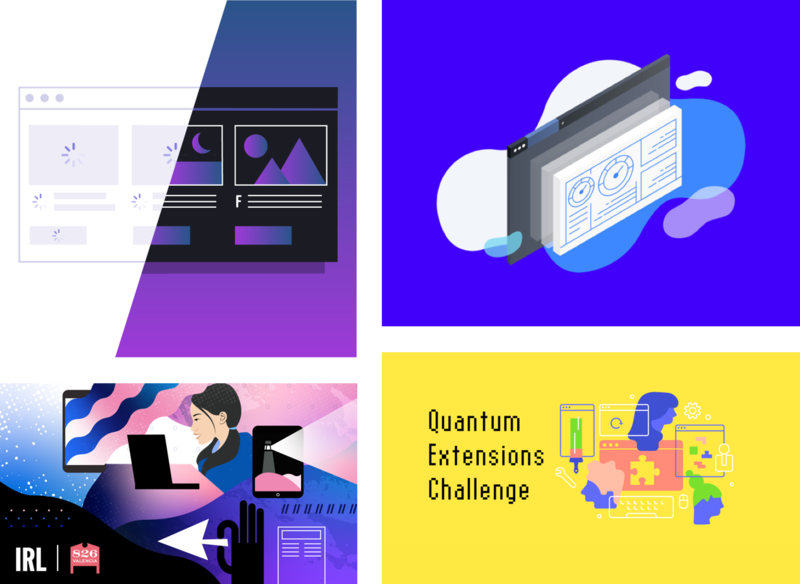 In our work across the orga­ni­za­tion we have been lucky to be a part of the evolution of the Mozilla brand, col­lab­o­rat­ing to interpret and help push it in interesting ways. 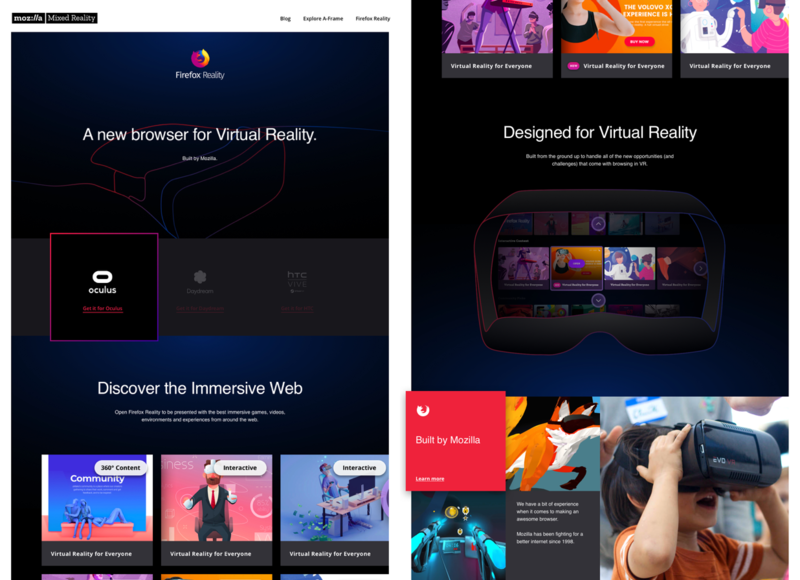 Working on various products and initiatives has allowed us to also help develop sub-brands, requiring us to draw from a deep under­stand­ing of the vast and diverse needs of Mozilla audience and brand manifestation. We have worked with Mozilla on numerous marketing campaigns supporting their mission to fight for a healthier internet. 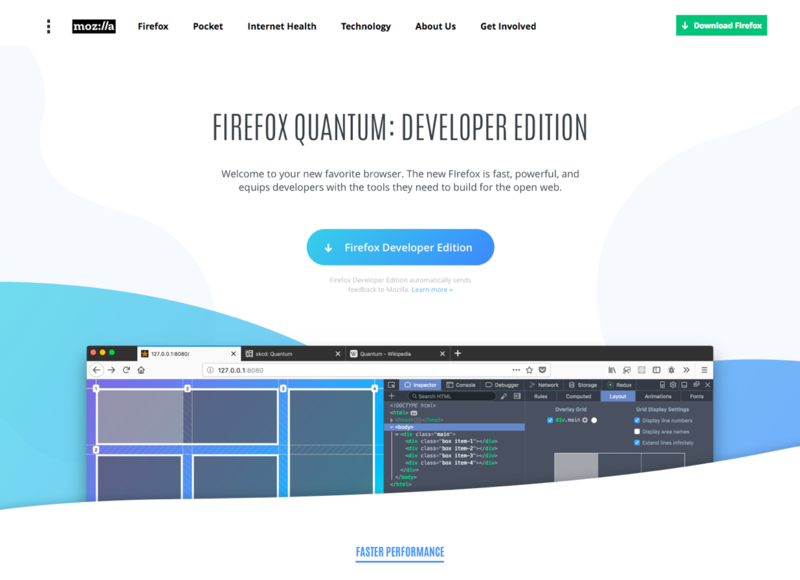 We col­lab­o­rat­ed with both developer marketing and brand teams on the digital go to market design of Quantum, Mozilla’s latest Firefox browser. Our team executed brand, social and landing page design targeted at both consumers and developers. 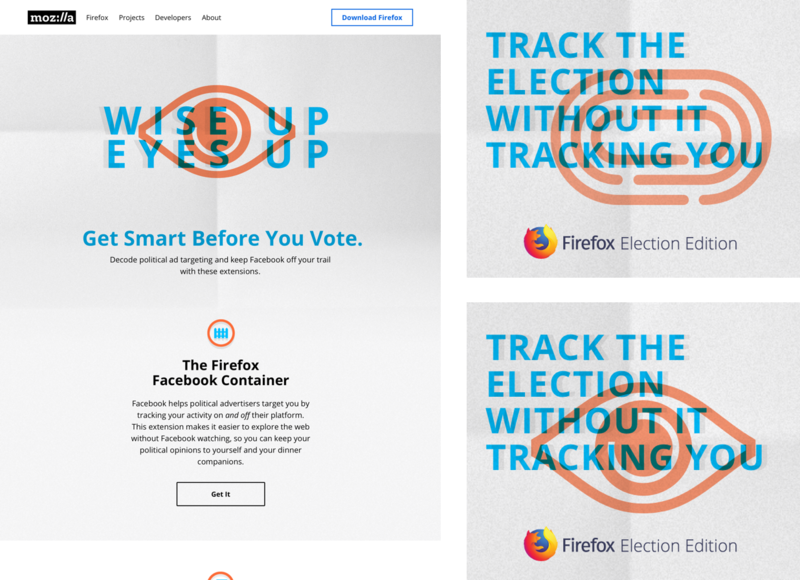 To help protect people in the 2018 election, we worked with Mozilla to market their Election Bundle. New users were directed to a unique version of Firefox that includes their Facebook Container and Propublica plugins. Existing users were shown how they can get them installed, protect their data, and catch fake advertisers throughout the election season. 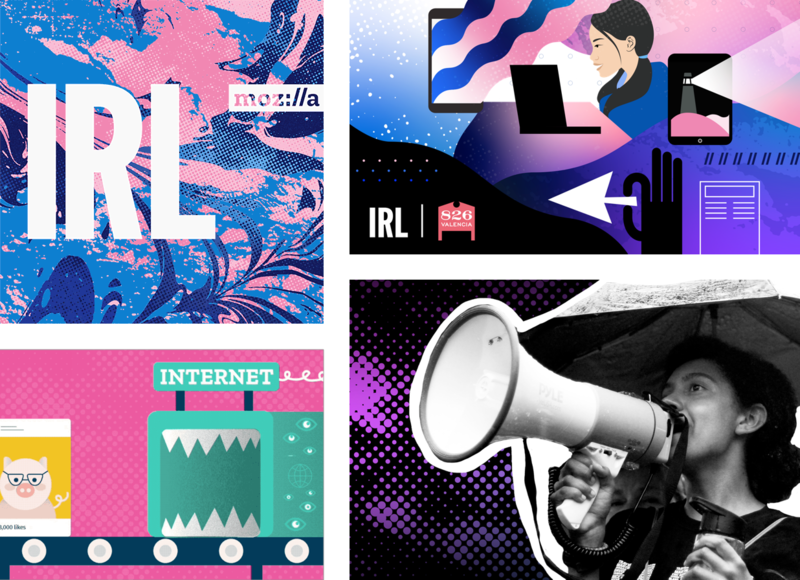 IRL is Mozilla’s podcast that explores the notion that the internet is real life. We established art direction for several seasons, and created social content themed around different episodes. Developers and innovators are critically important to Mozilla history and community. Our work with them has often targeted this audience, creating exciting oppor­tu­ni­ties to design for often highly technical concepts and products. We have been thrilled to help spread the word about tools created to empower users, improve the internet and how we experience our world. 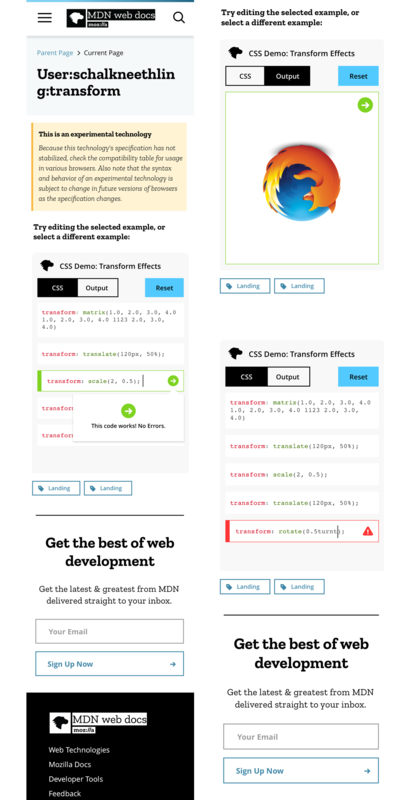 MDN Web Docs, previously Mozilla Developer Network, is used by developers worldwide as a primary development resource. 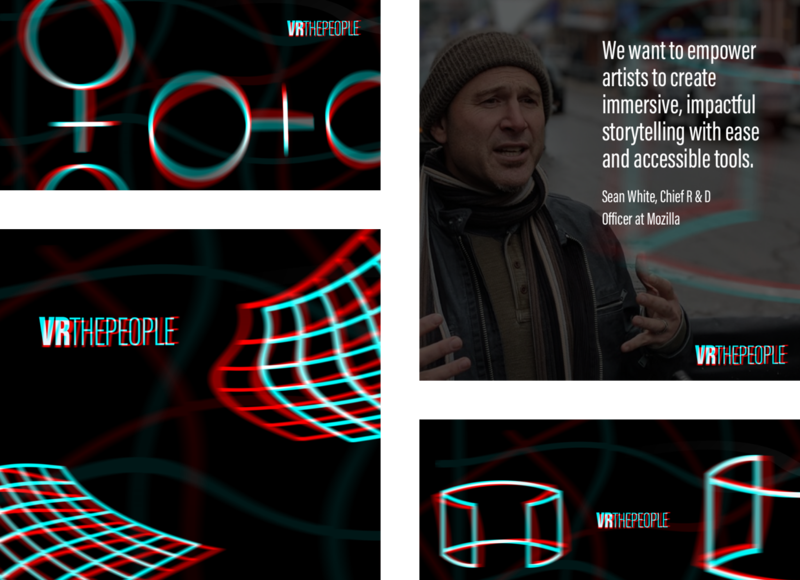 We partnered with the MDN team to make improve­ments to the site. Through user testing with developers from different countries, we identified primary UX challenges, and provided UX design rec­om­men­da­tions to make the site more intuitive and easier for the community to find what they need. 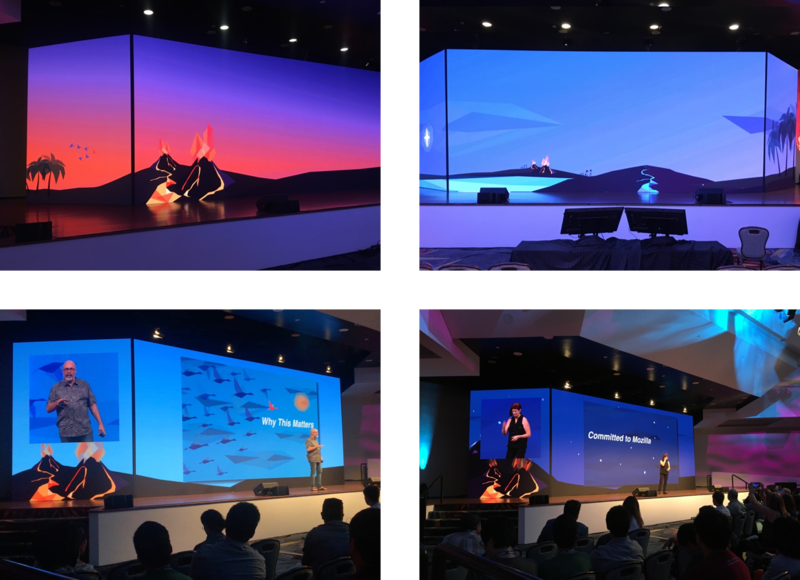 We have helped Mozilla spreads its mission globally through events and experiences as diverse as the developers, innovators and creators they connect with. 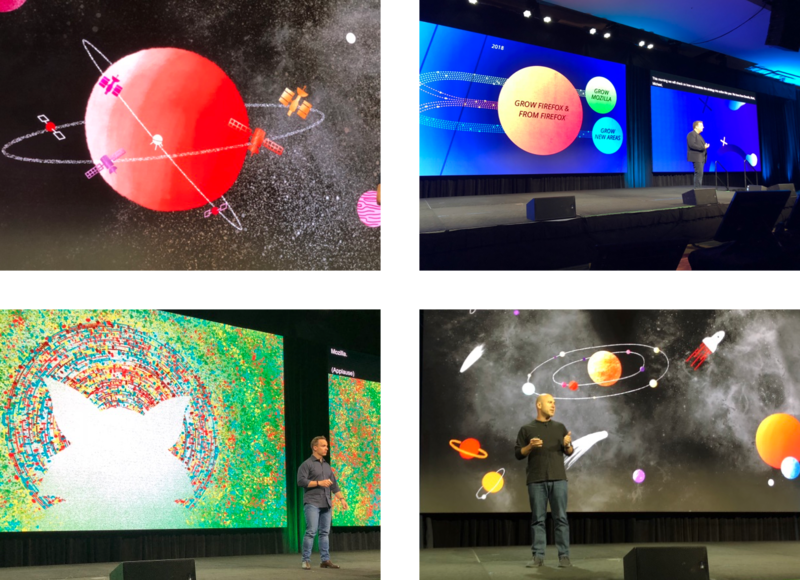 This includes branding for a panel of leaders in VR at The Sundance Film Festival, working with Mozilla’s executive team on their all-hands company event, and marketing for an interactive, multi-sensory experience at the JSConf.